On Thursday, March 31 Pratt Paper International celebrated the opening of its new $260 million recycling mill in Valparaiso, Indiana. Dozens of dignitaries were in attendance including Pratt CEO Anthony Pratt, and Indiana Governor Mike Pence. 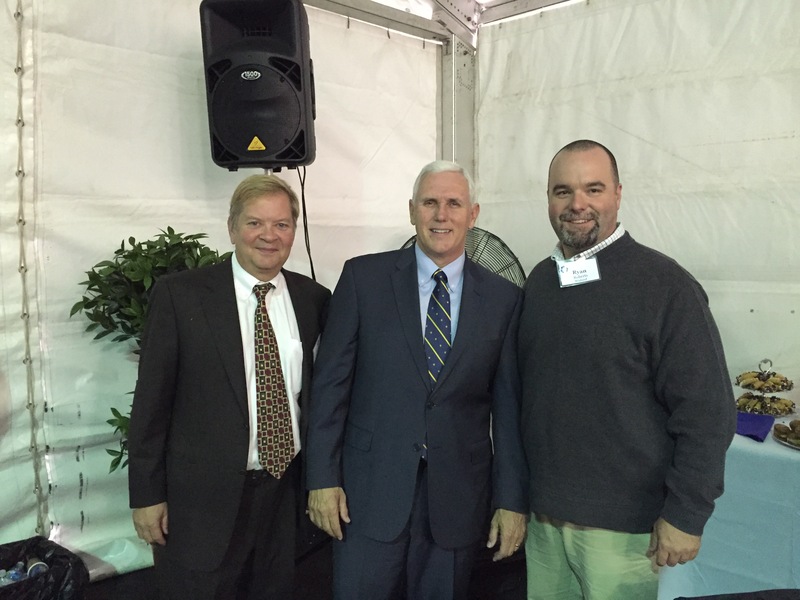 Pictured are Wieland President Craig Wieland and Vice President Ryan Roberts with Governor Pence (center). This is the second plant that Wieland has built for Pratt Paper.